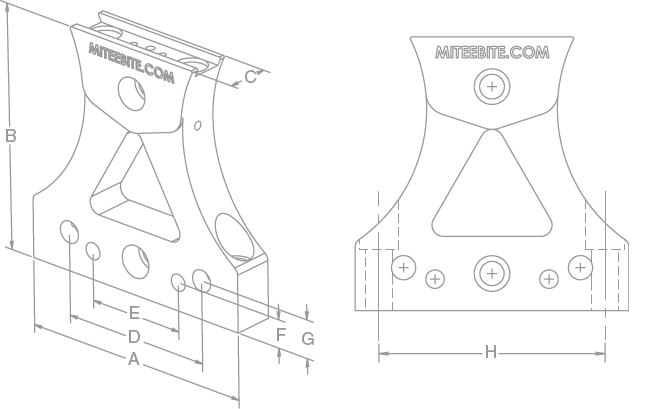 Tall Vise Jaw System | Mitee-Bite Products LLC. 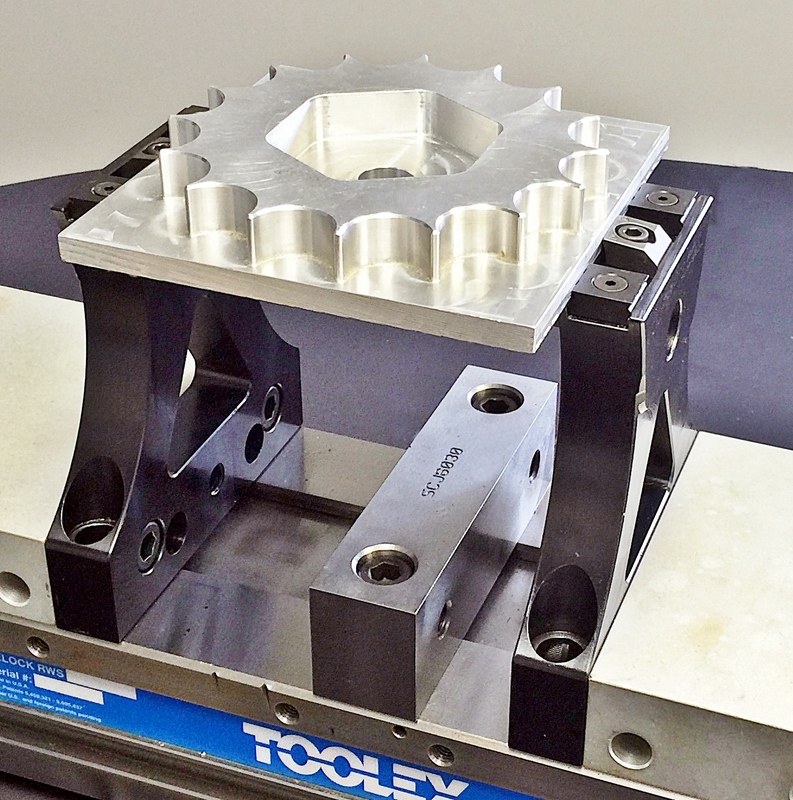 These Vise Jaws/Towers are designed to mount directly to your 4 or 6 inch vise elevating your workpiece into the 5 axis envelope. You already have the platform therefore this becomes a very simple and low cost solution. 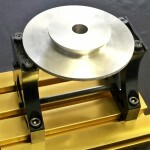 This is the only system on the market where you can loosen the vise and double the holding force! The Towers are exceptionally versatile due to the incorporation of our TalonGrip™ and VersaGrip™ Grippers and Pitbull® clamps. 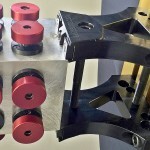 Secure round or square stock easily by using a vise or by mounting towers directly to your t-slot or grid table. 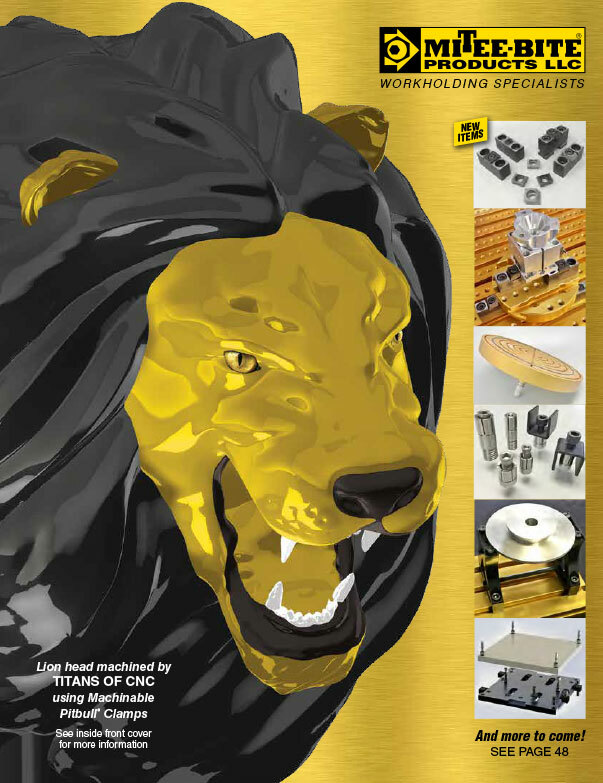 Low profile gripping saves material cost and no workpiece preparation saves machine and labor cost. outboard keeping mounting bolts loose. hand tight. If VersaGrips™ are being used to grip round stock, place in outboard bores. Do not tighten screws at this point. 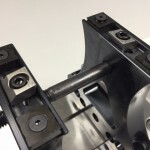 Tighten vise lightly onto workpiece allowing jaws to center themselves, adjust VersaGrips™ and tighten gripper screws and mounting bolts for both jaws. 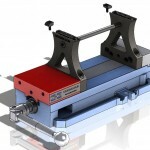 Loosen vise jaw for load/unload clearance of workpiece. Install support/drive/pivot bolt. Setup is complete. Tighten drive bolt allowing grippers to penetrate .010-.060″ on material < 40Rc. 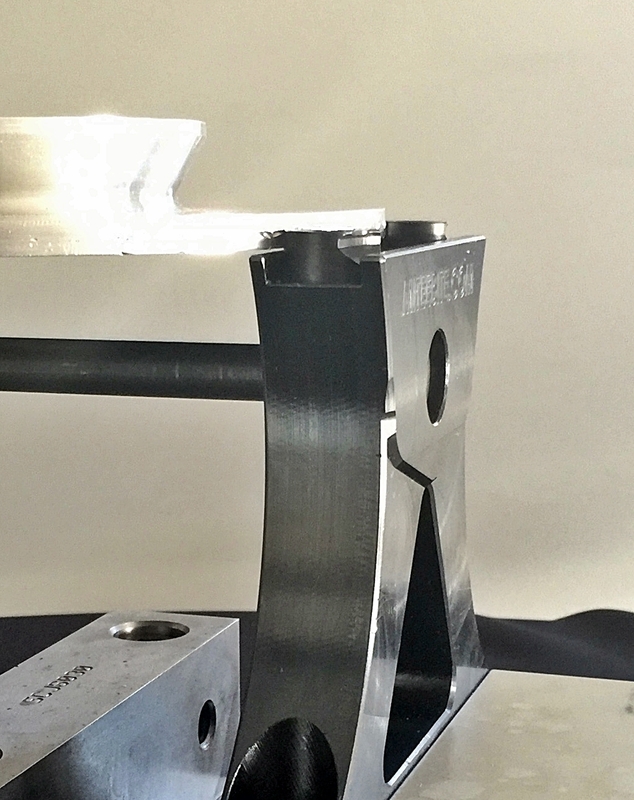 For additional holding force, loosen vise handle which will eliminate any jaw lift that may have occurred and depending on amount of torque can increase pressure to over 9,000 lbs. 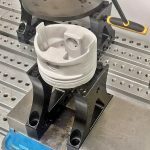 Using vertical counter bores on outboard edges of jaws, install mounting bolts into t-nuts or grid plate and adjust accordingly. Do not tighten at this time. Select appropriate length support/drive/pivot bolts, thread lower bolt into jaw prior to sliding opposite jaw into place. Insert upper bolt and adjust as necessary for work-piece. 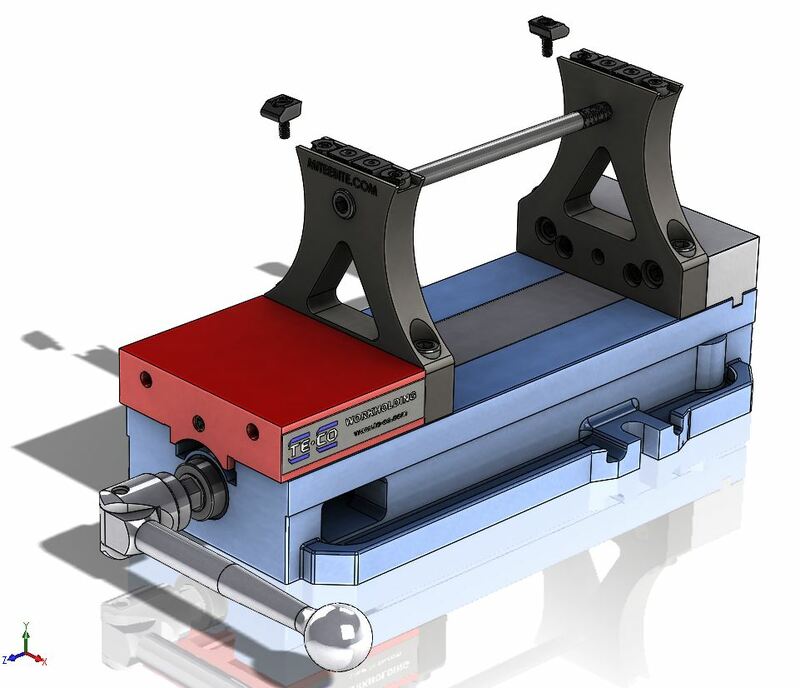 Place workpiece between jaws and lightly tighten upper bolt & loosen lower bolt until all grippers contact workpiece. 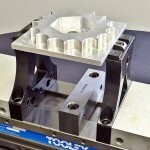 Loosen upper support bolt until adequate workpiece clearance for part removal is obtained. 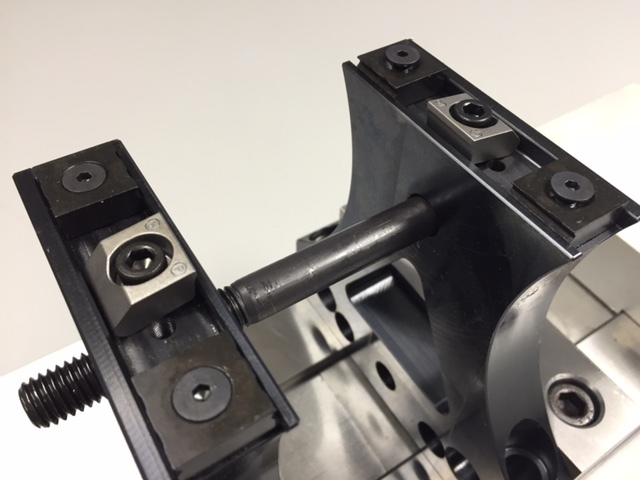 Upper support bolt is now the “drive bolt” for securing and releasing workpiece. 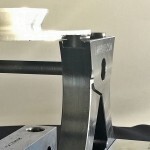 To increase holding force loosen lower bolt creating pivot point on upper bolt for aggressive machining. Any size t-nuts can be utilized. We provide 16mm t-nuts (most popular size) which also fits 5/8 t-slots. 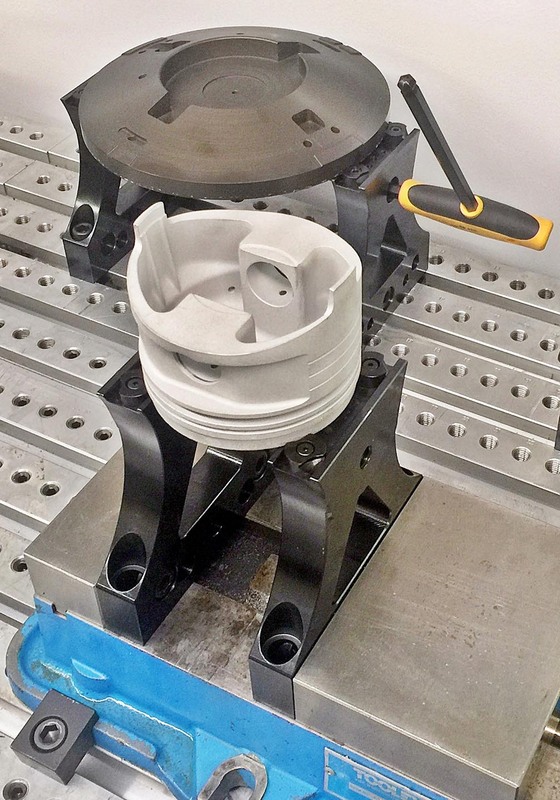 Round stock: use 4 VersaGrips™, two in each outboard bore. Adjust so all “points” make contact simultaneously. 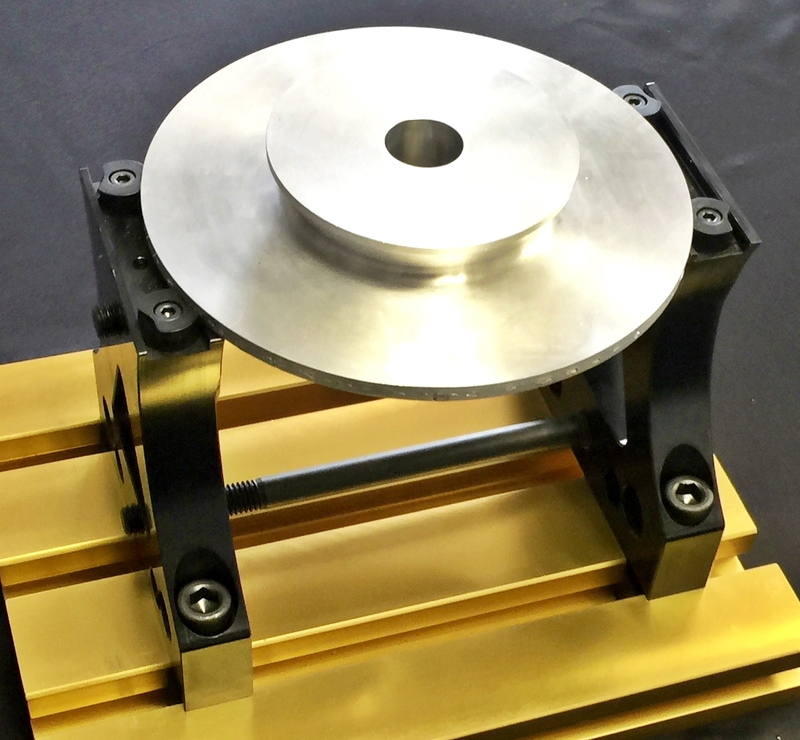 If small diameter workpiece, two parts may be held at one time. Maximum of 8 TalonGrips™ can be used, 4 in each jaw for maximum line contact. 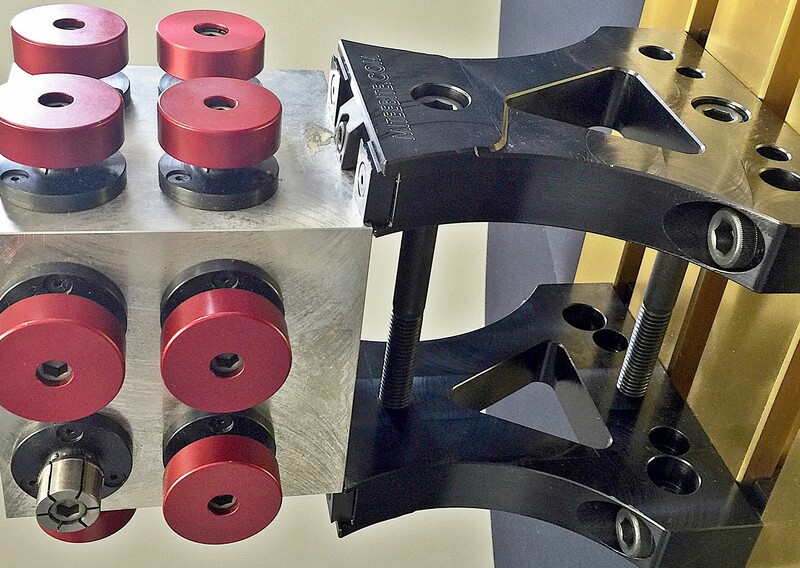 If down force is necessary or additional holding force use 2 Pitbull® clamps. One in the center of each jaw and one TalonGrip™on each side of Pitbull® clamps. Tighten jaws into grippers then tighten each Pitbull® clamp.